We recently had a patient who arrived on our service in the intensive care unit after a complicated surgery. The surgery left him close to dying, and he was immediately put on life support and given heavy sedatives. Ventilators breathed for him. Special drugs kept his heart beating. A continuous pump acted as his kidneys, […] Find jobs at Careers by KevinMD.com. Search thousands of physician, PA, NP, and CRNA jobs now. Learn more. For kids dealing with trauma and struggling for developmental footing, music can be the tool that draws them out and spurs their advancement. 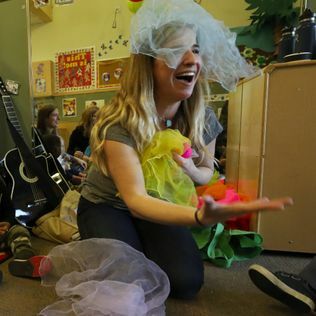 Music therapy is a new offering at Childhaven, a nonprofit that serves 300 children and is helped by reader donations to The Seattle Times Fund For The Needy. I just had a conversation with a physician and faculty member at my school. He started the conversation like this: “It’s alright if you disagree with me, and I can disagree with you too. Good academic discourse should allow people to disagree with each other.” He then allowed me to question him and explain my […] Find jobs at Careers by KevinMD.com. Search thousands of physician, PA, NP, and CRNA jobs now. Learn more.